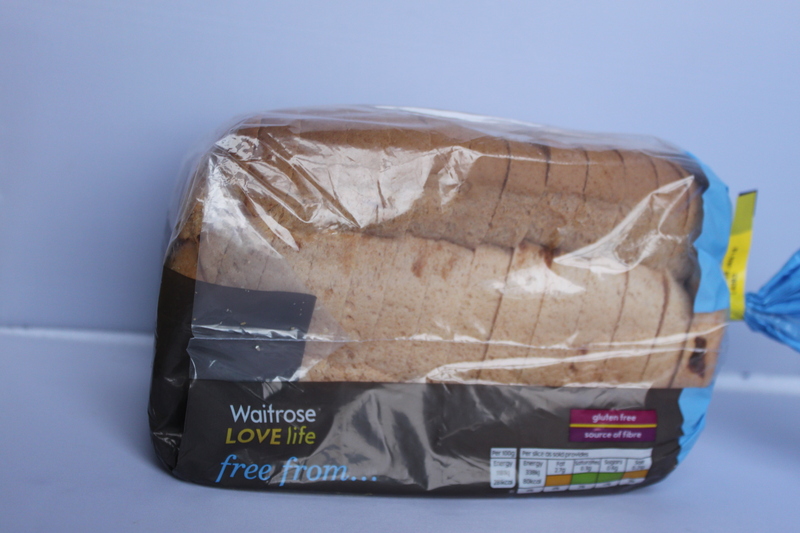 This time I opted to go for all brands (branded and supermarket own brand that is) because many of you, following on from my last review, felt all loaves should be part of the review, plus a lot of you had own brand favourites which you felt could easily stand up to the big branded names and I have to say, you were right. ……. I didn’t include availability this time because the supermarket loaves automatically have less availability that the branded loaves. All of them froze well again so I didn’t feel the need to mention that. It’s mostly based on taste this time, followed by toast, sandwich making etc.. That is, versatility of the loaf. Feel free to disagree and let me know which is your personal fave. P.S. Disclaimer: I’ve made up a few of words in this review only to see if you could spot them of course *cough cough* Don’t be surprised if you soon see words such as holeful and pressability in the Oxford dictionary! Pressability of course describes the action of pressing the bread and the bread staying in place, as opposed to cracking and crumbling all over the floor. Availabilty is unfortunately still a joke. 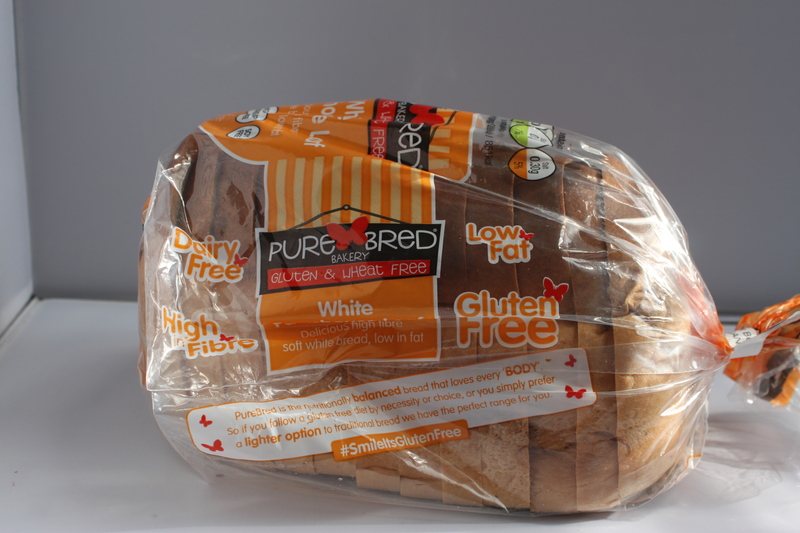 Best and worst gluten free sliced white loaves revealed Here we go! Any other benefits? : No siree! This bread does not exist. That is the conclusion, I’ve drawn from the monosyllabic Simon on twitter, unanswered emails and Facebook messages, as well as three calls to the Cooperative Food Customer Care line. Not to forget, me physically visiting 6 different co-op stores and calling another 8 dotted all over London and Essex. 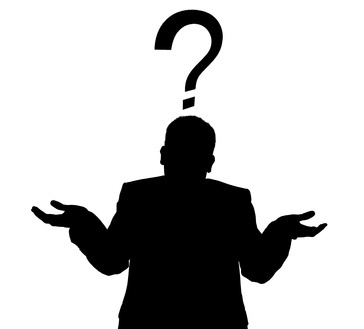 Yes it’s frustrating not being able to find something that I keep being told exists, but what bothers me even more, is Co-op staff’s complete lack of interest and concern as well as their appalling lack of knowledge in the gluten free products that they stock in their own shops! From shop assistant, to customer care phone advisor right up to Store Managers. I don’t think I’ve ever met such clueless, unhelpful staff in all my life. Those of you that follow me on Facebook, already know of my displeasure when I asked a Coop employee in a Coop store if they had a free-from aisle. He looked completely confused and replied…”er… No?” When I asked him if he knew what free from was, he said “Yes free-range!” I think that says it all. It wasn’t uncommon for me to have to ask 3 different people in the same store before I stumbled on a “No”, regarding the sale and availability of gluten free products. Based on my experience and their poor customer training on free-from, gluten free products and general disinterest in the gluten-free community. Not only will I not buy their mythological gluten-free bread, I will not be rushing to buy anything in their stores in the near future either. The Cooperative Food. You Are The Weakest Link. Ingredients: Tapioca Starch, Water, Rice Flour, Potato Starch, Rapeseed Oil, Humectant (Glycerine), Egg White Powder, Psyllium Husk Powder, Yeast, Thickener (Hydroxypropyl Methyl Cellulose), Dextrose, Rice Bran Extract, Salt, Preservative (Calcium Propionate), Flavouring. Udi’s, Udi’s, Udi’s, you clearly haven’t learnt from your mistakes have you? Let’s put it this way if I were Alan Sugar and Udis’ were on the apprentice. I’d a fired it ages ago. It’s like they’re not even trying. It looks, feels and tastes synthetic. How can I describe the taste? Get a length of thick hemp rope, you know, the kind used for sailing, that looks a bit like this. Lick it from top to bottom and that is the displeasure and taste your mouth will feel after it’s eaten a slice of Udi’s sliced white bread. The texture is so off-putting and this is when it’s in your hand, before you’ve even placed it in your mouth. it feels rough and lacks taste. It does taste better when you’ve toasted it, but this is at full blast, the highest setting your toaster can handle for you to get some sort of value out of the loaf. All in all, yet another poor effort from the guys at Udi’s. P.S. It now contains egg. Ingredients: Water, Tapioca Starch, Potato Starch, Yeast, Rapeseed Oil, Pea Protein, Maize Starch, Egg White Powder, Stabiliser: E464; Vegetable Fibre (Psyllium), Cornflour, Sugar, Calcium Carbonate, Concentrated Fruit Juice, Rice Starch, Salt, Humectant: Vegetable Glycerine; Preservative: Calcium Propionate (added to inhibit mould growth); Natural Flavouring, Iron. 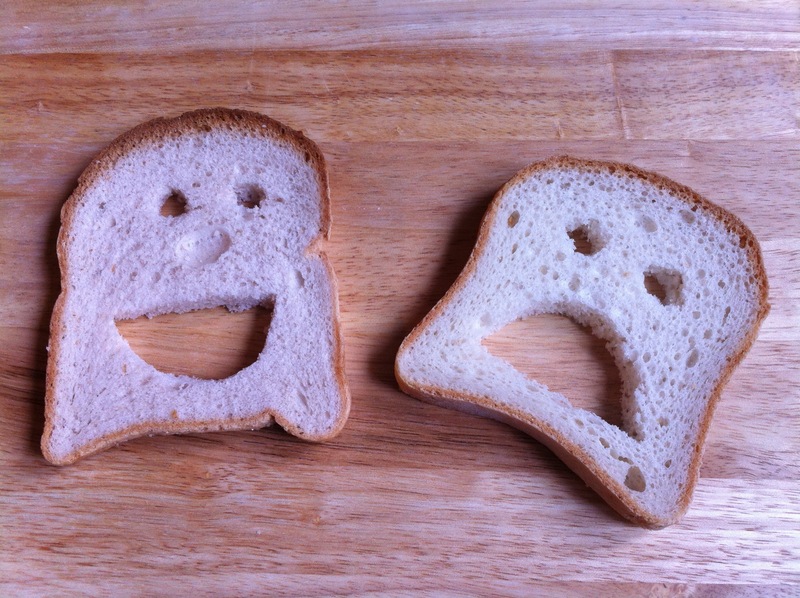 This bread makes me sad. If you feel like you haven’t had a good cry in ages. Buy a loaf of this and start eating. 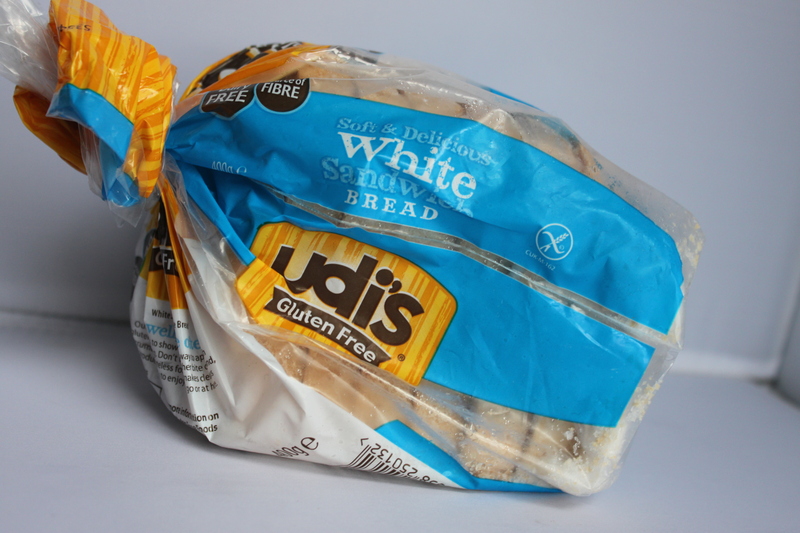 Very similar textural qualities to the Udi’s loaf. Just a smidgen more palatable. If there were such a thing as flat combed sawdust this would be it. 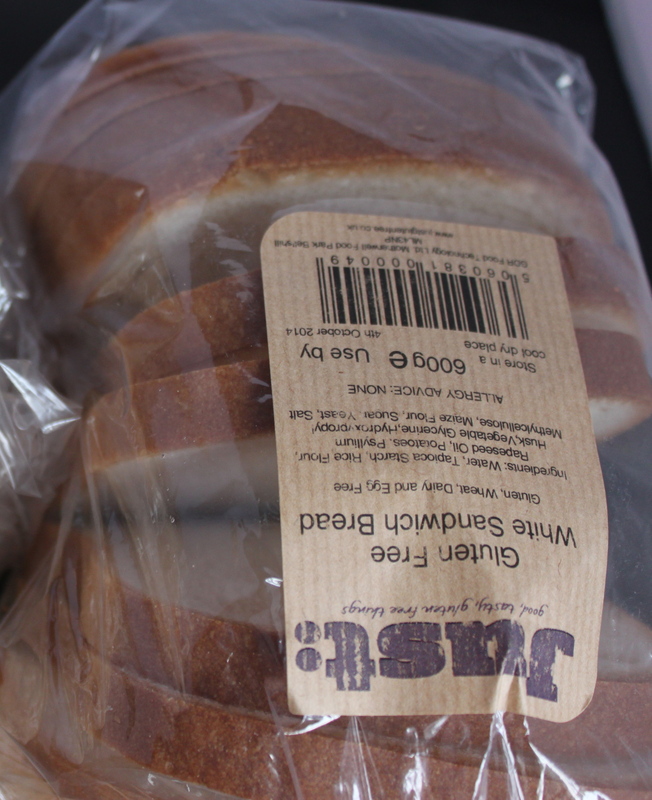 Add a touch of cardboard to the taste and texture and that’s the Newburn Bakehouse loaf. Plus sides? It’s big, downsides? Too many to mention. I generally get suspicious when I see, low fat and gluten free together because it often results in poor taste. 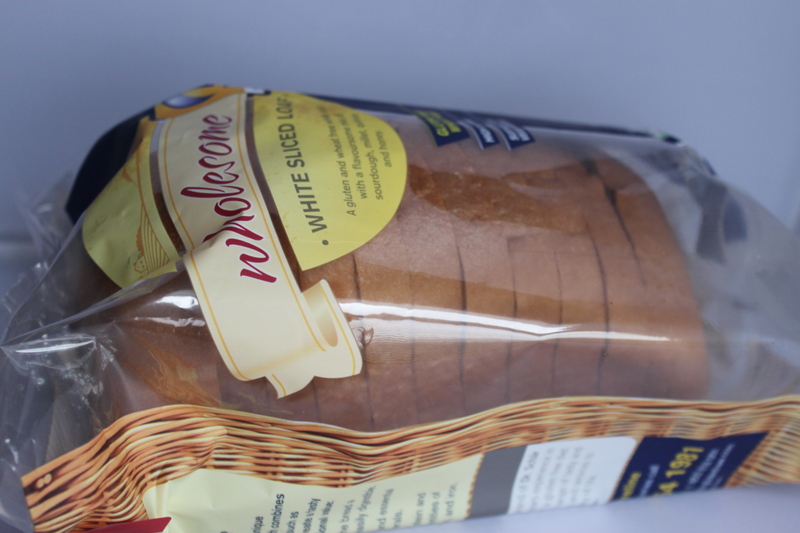 Sold in Ireland and Australia, PureBred state on their website that their loaves have won awards. Being new kids on the block, at least in the U.K. I wanted to put my prejudice aside and give them a chance…. I wish I hadn’t! The crust was extremely bitter and the texture was dry and powdery, with a similar mouthfeel to a slab of thick dry cake. It just about slides down your throat on eating. The loaf itself had no movement or elasticity and didn’t improve at all with toasting or refreshing. Save your money folks! Ingredients: Water, Corn Starch, Tapioca Starch, Potato Starch, Dried Egg White, White Rice Flour, Buckwheat Flour, Rice Bran, Thickening Agent: Xanthan Gum, Yeast, Cellulose, Sourdough (Fermented Quinoa and Rice Flour), Psyllium, Salt, Rapeseed Oil, Pea Protein, Agar Agar, Potassium Sorbate, Thickening Agent: Guar Gum, Hydroxypropyl Methylcellulose, Flour Treatment Agent: Ascorbic Acid, Raising Agent: Sodium Bicarbonate. 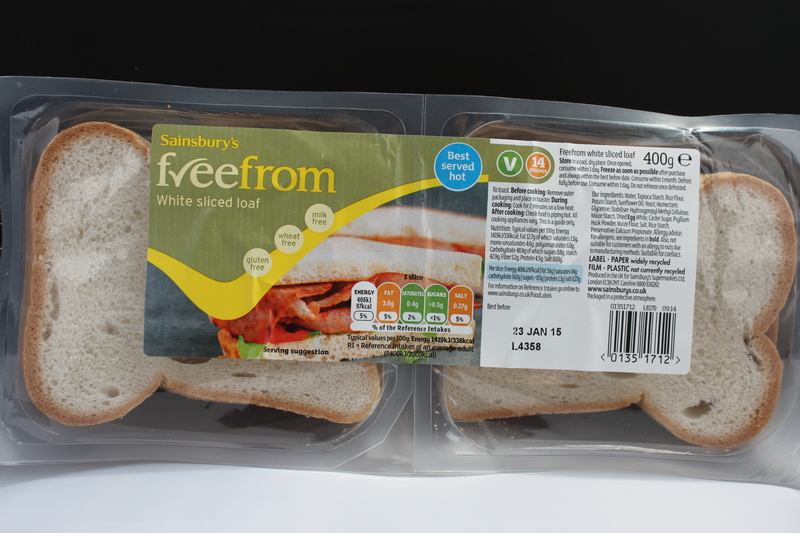 Yup, it’s another low fat, gluten free loaf, You know what that means! Well, the texture was O.K., passable even, it had a good crust on it, but the taste was acidic, bordering on chemical and the slices although wide, were quite thin. it was like eating a loaf sliced by a mandolin. You could rip the loaf with your fingers. 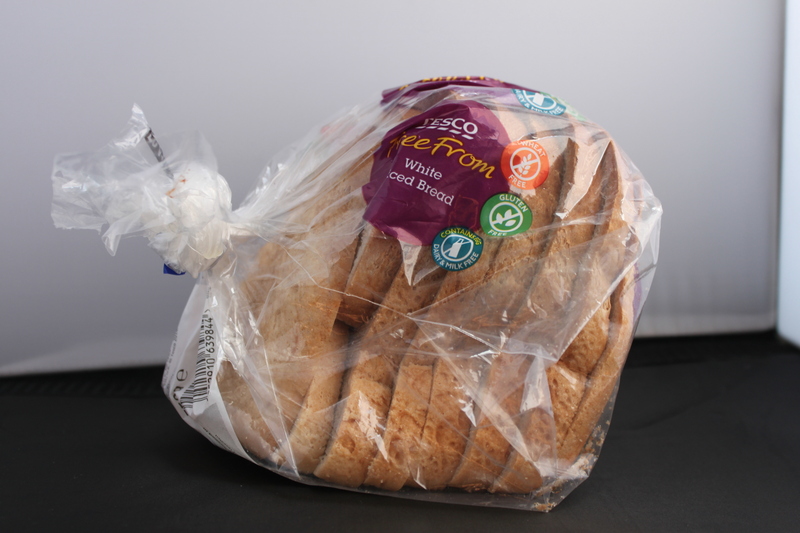 The packaging was a little clumsy because the loaf fitted in sideways and the plastic was quite thin and actually ripped as I was eating it, so I had to keep it in a sandwich bag. I found the taste unpleasant, sour and far too tart. Not unlike the taste of sourdough bread that didn’t quite come out as expected. The whole taste experience was quite odd, however it did taste better toasted, but needed a little longer in the toaster than the other loaves. Ingredients: Water, Tapioca Starch, Rice Flour, Potato Starch, Sunflower Oil, Humectant Vegetable Glycerine, Polenta, Yeast, Psyllium Husk Powder, Dextrose Monohydrate, Stabiliser Hydroxypropyl Methyl Cellulose, Dried Free Range Egg Albumen, Maize Flour, Salt, Maize Starch, Preservative Calcium Propionate, Rice Starch. This was a small loaf and generally gfree small loaves are small on size but big on taste. Not this one. Three words describe this loaf perfectly: Dry, dry and dry! This was the driest of all the loaves I tested, if not for a slight and I mean slight advantage over the first few on taste, it would have come last. Slightly better refreshed, not great for toast. This loaf doesn’t pass the sandwich test. Not much to say about this. It’s just your bog-standard gfree loaf, nothing wowed me, nothing amazed me. The texture was…acceptable, the taste unsatisfactory, but it wasn’t as bitter at the bottom loaves so got bumped up a bit. I felt the loaf was small and far too expensive for its size taste and poor quality. Won’t be buying this again. Ingredients: Water, Tapioca Starch, Rice Flour, Potato Starch, Sunflower Oil, Yeast, Humectant: Glycerine; Stabiliser: Hydroxypropyl Methyl Cellulose; Maize Starch, Dried Egg White, Sugar, Psyllium Husk Powder, Maize Flour, Salt, Rice Starch, Preservative: Calcium Propionate. First of, I’m not a huge fan of the packaging. It says, illness, it says prescription, it says special and those are not things I want my packaging to say to me. The upside is, you can eat half the loaf and save the rest for later, which is handy if you’re not a huge bread eater. The first thing my eye was drawn too was a little blue label that said. Best eaten hot. Uh-oh! I thought and firmly raised my red flag. I had to shamefully put it down a moment letter because the texture was extraordinary. I hadn’t expected it to be so soft. Excellent pressability, my thumb even left a small print behind on the bread, BUT…once I’d buttered it, i had to apologise to my red flag but putting it down so abruptly. It was right! Great on physical feel and maybe texture but not great on taste. The loaf was dry with a slightly bitter aftertaste. Didn’t taste much better toasted or refreshed i.e. a quick blitz in the microwave, which only made the texture slightly gummy. It’s not expensive but I wouldn’t buy it again. Ingredients: Wheat starch (gluten-free), water, modified corn and tapioca starch, vegetable oil, sugar, yeast, thickeners: locust bean-, guar-, tara gum, pectin and E466, rice flour, salt, sugar beet fiber, emulsifiers: lecithin (rapeseed) and E 471 (veg), psyllium husk, flavouring (natural). 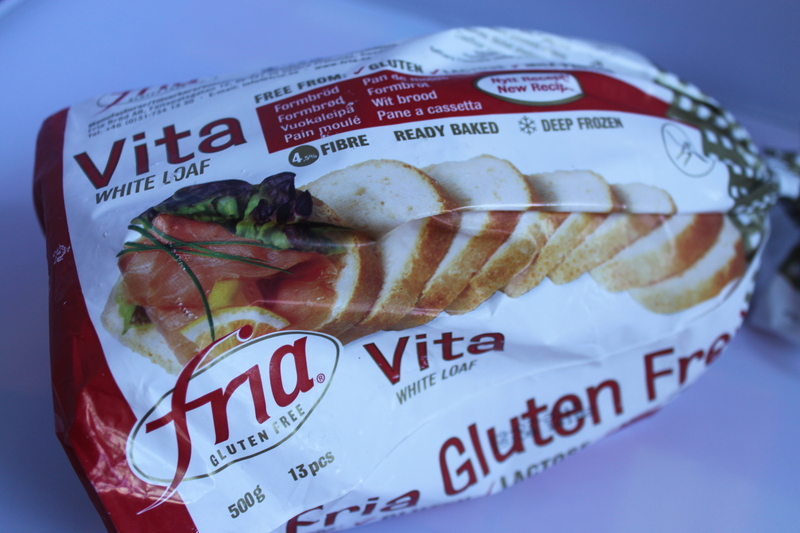 I’ve tasted the Fria white loaf before so there weren’t any huge surprises. It’s the one Fria product that I’m not crazy about. Like many of the other loaves in this review, it just doesn’t taste…real…It has this gummy texture when you eat it, that doesn’t really seem to go away. Good crust and structure, small size like most Fria loaves, but really nothing to write home about. En plus…The Curse of the Gfree hole has hit Fria!!! I think I actually shed a tear, I was so dismayed…and surprised! 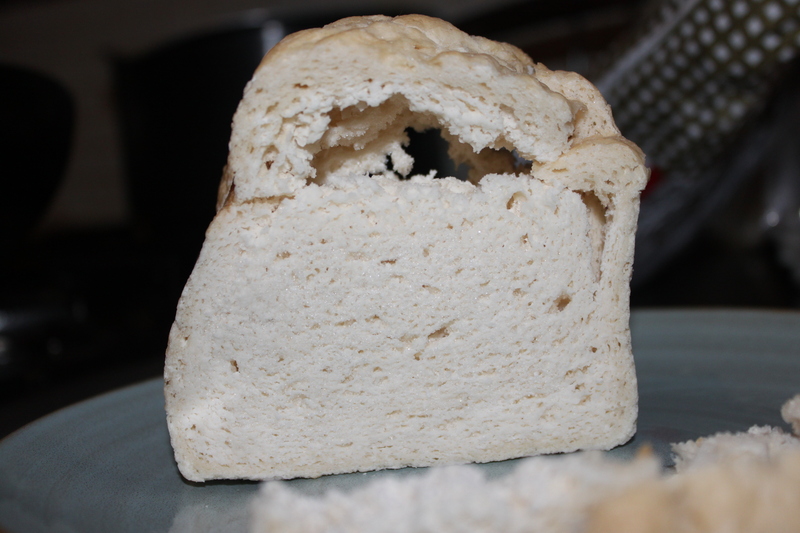 Cos unlike the Genius loaf, I’ve NEVER had this problem with Fria bread. I thought they combat the ‘hole’ problem by having smaller loaves? Anyways it was there and when the loaves are that small and that expensive, it doesn’t make you feel great. When I told Fria what had happened though. I had a reply and an offer to send a replacement within 24 hours and the replacement was received a few weeks later, hole free. 🙂 Having said all that minus the holes. I felt the loaf lacked quality and fell short compared to the other Fria loaves, it’s definitely my least favourite of the Fria range. ingredients: Water, Tapioca starch, Rice flour, Rapeseed oil, Potatoes, Psyllium husk, Humectant: Glycerine, Stabiliser: Hydroxypropyl Methylcellulose, Maize flour, Sugar, Yeast, Salt. This bread was satisfactory, had less flavour than some of the other loaves, but still had some taste, The low sugar content meant it took longer to toast compared to some of the other brands, but it gave a decent slice of toast. If you buy it direct from Just: you should be fine, but I felt it was way too expensive in Wholefoods for what you got, so not really value for money, because there are no preservatives in this loaf, you need to keep an eye on the expiration date, because before you blink, it’s all over. Not a bad attempt, but not one I’d rush out to buy. Ingredients: Water, maize starch, sour dough 16% (rice flour, water), rice starch, cereals 4,3% (millet flour 2,6%, quinoa flour 1,7%), apple fibre, sugar beet syrup, sunflower oil, rice syrup, soy flakes 2,1%, sunflower seeds 2,1%, soy bran 1,9%, linseeds 1,9%, thickener: hydroxypropyl methylcellulose; millet flakes 1,4%, soyprotein, yeast, sea salt, honey. I liked the idea of this loaf, because white sliced bread isn’t exactly renowned for being healthy and it seems as though they tried to focus on taste as well as nutrition, a quick glance at the ingredients show seeds, mlllet, quinoa, so nice healthy additions and I liked the fact that there were no artificial ingredients. Availability is erratic. Your best bet is The Co-operative who seem to always have a good stock in. I had my hopes sky high for these guys and would have saved it till last on the taste test, if not for the expiry date! Simply because they won last time and overwhelmingly. But *sigh* I was disappointed. The crust of the bread was really hard, and was a sharp unpleasant contrast to the texture of the bread which wasn’t that soft. Taste wasn’t so great, I found the loaf a little bland but strangely this loaf makes AMAZING toast! Weird I know. So I basically just used it as my toast loaf but wouldn’t recommend eating it straight out of the pack. Ingredients: Water, Tapioca Starch, Rice Flour, Potato Starch, Rapeseed Oil, Maize Starch, Psyllium Husk Powder, Humectant (Vegetable Glycerine), Sugar, Stabiliser (Hydroxypropyl Methyl Cellulose), Dried Egg White, Yeast, Flax Seeds, Salt, Flavouring, Rice Starch, Preservative (Calcium Propionate). From ‘holeful’ to ‘holefree’. First and foremost a big congratulations because this loaf ladies and gents, had no holes! 🙂 Yay! The softness was really incomparable. 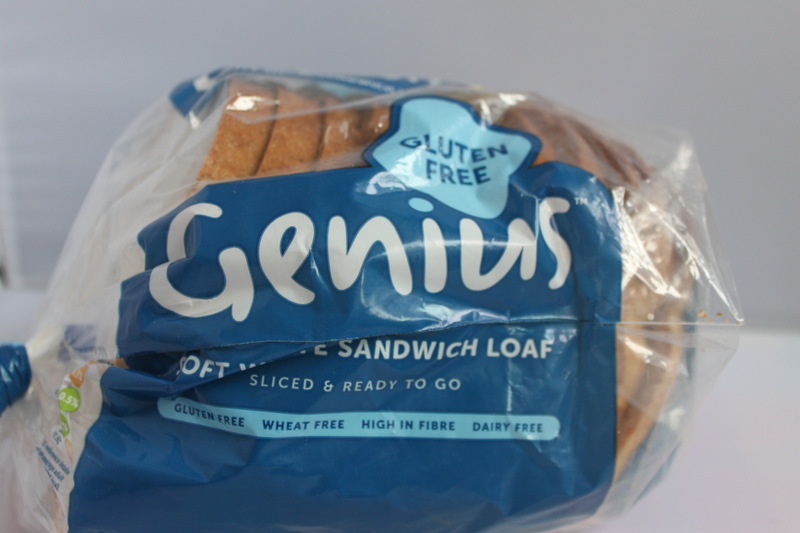 Genius bread is definitely the softest on the market, upon opening the loaf but…yes there’s a but. I found it too soft, it was so soft it bordered on underbaked which made it feel pasty and doughy in your mouth at times. I also felt it was way too sweet. It was almost like eating dessert or a sprinkle of sugar with everything. A sandwich with a sprinkle of sugar is odd to the tastebuds and certainly not my cup of tea. A light, fresh loaf that didn’t crumble but was still quite a fragile thing, that needed to be handled carefully. It can be eaten directly from the pack. Now this loaf wasn’t bad, a decent size, a good crust, great pressability and texture, slightly lacking on the taste but still a pleasant flavour. It doesn’t have to be toasted before eating but I found it a little dry personally. I also noticed the beginning of a hole peeking through at the bottom of a loaf 😦 Nonetheless, it rates well as a good second best and my makeshift chip sandwich butty didn’t have any complaints, but it seemed a little like the cake without the icing. It didn’t quite run that extra mile to achieve greatness, but it’s certainly a decent loaf. Ingredients: Water , Tapioca Starch , Rice Flour , Potato Starch , Sunflower Oil , Yeast , Humectant (Glycerol) , Stabiliser (Hydroxypropyl Methyl Cellulose) , Dried Egg , Sugar , Maize Starch , Psyllium Husk Powder , Maize Flour , Salt , Maize Starch , Rice Starch , Preservative (Calcium Propionate) . The first thing that impressed me about this loaf was the sheer size. Us gluten-intolerant folk have got used to miniature loaves, that children may mistake for play food. For whatever reason gluten-free loaves are small but this one was clearly ready to play with the big boys in the market. I mean the literal big boys, like Genius and Warburtons. 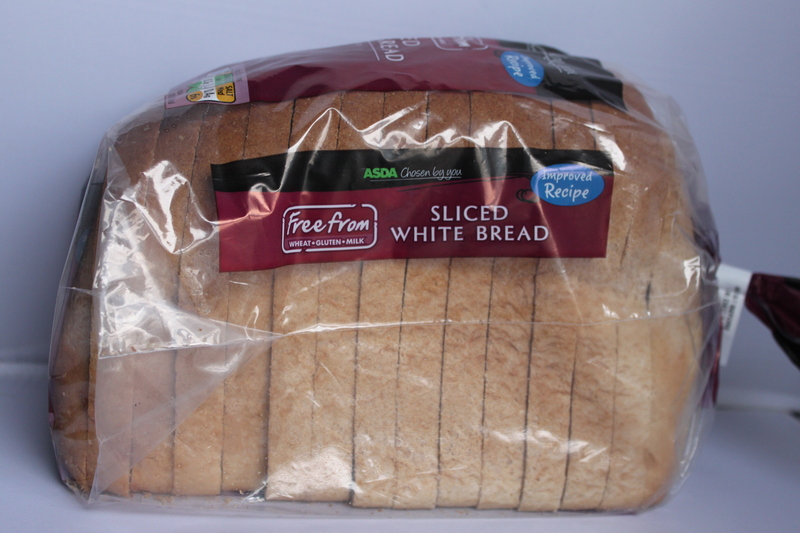 If I’m honest with you, I wasn’t expecting much from the Asda loaf, they’re not really prominent on the gfree scene compared to other supermarkets and I guess I got stuck in my ways. Please forgive me for my ignorance dear Asda loaf because I was so wrong. 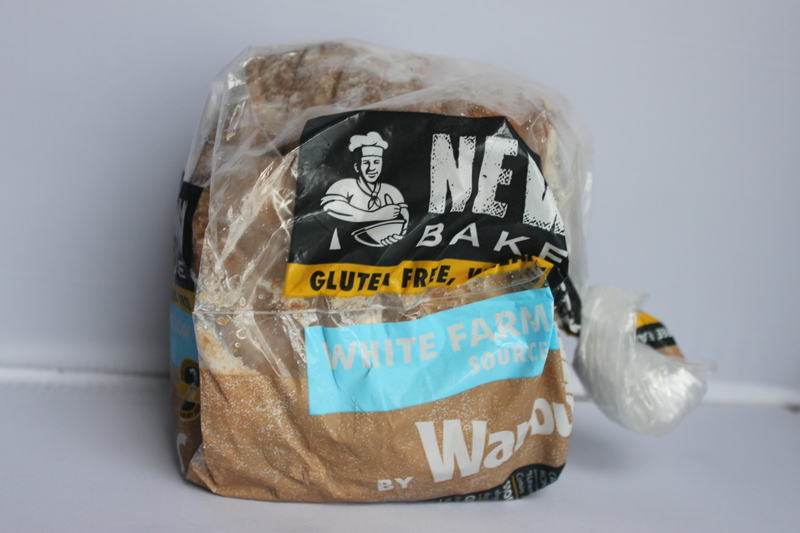 This loaf behaves like bread,gluten bread that is, it can be eaten straight from the pack, feels beautifully soft with a memory foam like flexibility which curved with the palm of my hand as I was buttering. Nice sturdy crust and a taste that took me way back to the stone ages when I still ate gluten. It looks good, tastes good and toasts well. I don’t even like white bread and I ate four slices in one sitting! I could easily see this as a loaf that the whole family could enjoy without feeling as though they were compromising on taste. 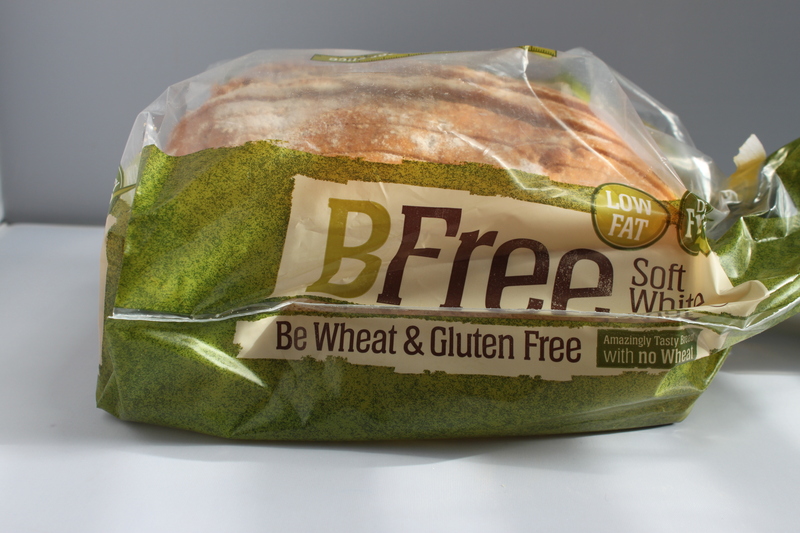 I actually had to check the packet a few times to make sure it really was gluten-free…. and guys, it’s £1.50! That’s easily the cheapest price I’ve ever seen for a gluten-free loaf of bread. Superb value for money in every single way. I don’t have a single complaint. Kudos Asda, you’ve done a great job with this one. Have you tried anything from the Wheat Free Bakery Online? 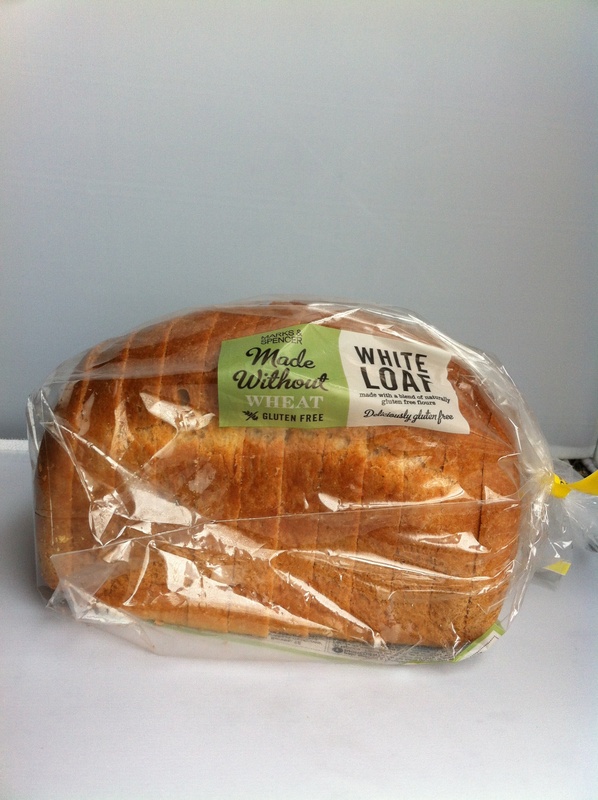 I’ve just discovered them and they’re marvellous – their tiger loaf tastes like proper bread! Well worth the delivery charge. Hey Lorraine! No i haven’t, but thanks for the recommendation. I’ll check it out once the website’s back up again….Not sure if they deliver to London though?…. They deliver across the UK I think. I’ll be interested to see what you think of it.